You arrive home from the grocery store and begin to unload your bag onto the counter. Scott, your roommate, rushes into the room and sits on one of the stainless steel barstools placed on the opposite end of the counter, eagerly eyeing your purchases as you unveil them one by one. You know what’s coming. The fury bubbles up from your stomach like a bad burrito. Slowly and deliberately, you place each item on the white formica: a gallon of milk, a carton of eggs, a bag of shredded cheese, a can of chili. A bag of hot dog buns. Scott’s eyes widen and a smile creeps across his lips slowly but firmly, like a fighter slipping into a chokehold from a long, slow grappling grind. You reach in to retrieve the last item from the canvas shopping bag and your knuckles whiten with tension. You wrap your fingers around the cool, slightly wet parcel and lift your hand. Scott all but licks his lips in anticipation when your hand – and the package it holds – cross the threshold into view. 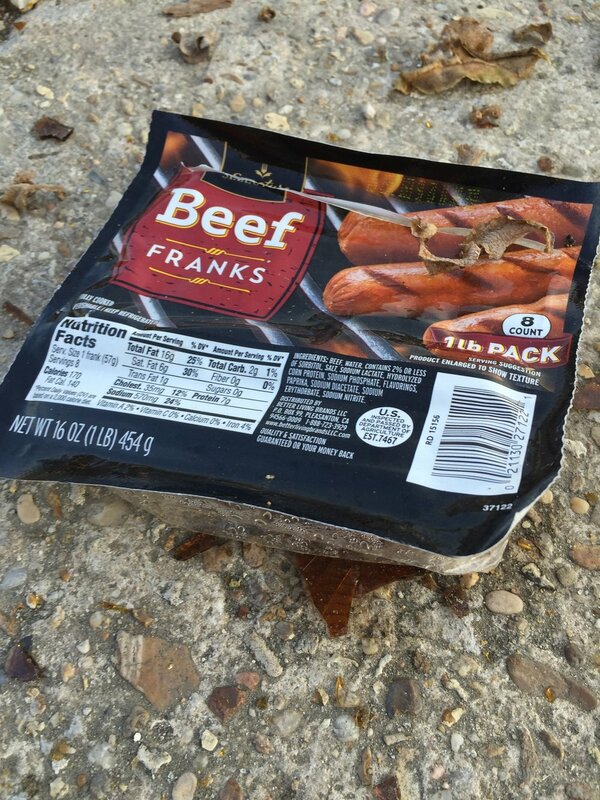 His mouth opens slightly as the identity of the item is revealed: a pack of All Beef Franks. …is all Scott manages to say before you slap him across the face. Surprise and shock erupt from the center of his face outward from his flared nostrils, travelling to his widening eyes, gaping mouth, and eyebrows that yearn desperately to touch the stars. You don’t even give him a chance to ask.